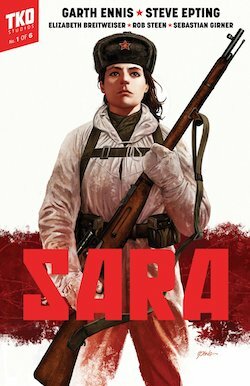 This new graphic novel is a beautifully-drawn, powerfully-told story about a group of seven Soviet female snipers during the Second World War. Sara, the best shot in the group, is plagued by doubts about the Soviet regime and struggles to suppress her desire to speak out. A chilling tale of sacrifice and revenge.